Learn more about our new Birthday Books program here. Looking for great summer reads? Rising and Current Forest and Mountain families -- check out next year's Forest & Mountain Reader's Choice Award book list! New books coming out this summer! Look at all the fabulous new books coming out this summer! Forest & Mountain Reader's Choice Award announcements! Ready to nominate books for next year's list? If you are a Forest or Mountain class student or teacher, fill out the form below to nominate your favorite book! Let's explore PebbleGo Next! This new database has science information for students in grades 3-5. 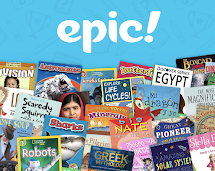 It has the same great features as PebbleGo - read-aloud options, videos, and content aligned with the Next Generation Science Standards. Try it out at school or at home until April 15th! I am so thrilled to share this great news - we now have a state digital library of ebooks, audiobooks, and book videos just for kids! If you have a public library card here in North Carolina, you can check out any of these books! Great for long car rides to school, vacations, and family sharing.